The last of the Habsburg dynasty, Otto von Habsburg died this week and was buried in an elaborate state funeral. In this age of “William and Kate” royals, it is interesting to think that these people once ruled as heads of state and for Otto at least, he was raised thinking he absolutely could. More than any other line, I am fascinated by Austria’s Habsburgs. It does not hurt that I have been to Vienna which is wholly their capitol. Depending on what you count as the empire, the Habsburgs ruled for 600-800 years. In that time there were a lot of very fascinating monarchs; here are just a few of my favorite Habsburgs. Maximilian (in a red hat) with his family. While the Renaissance was going on in Italy, Maximilian was solidifying and broadening the House of Habsburg’s empire. He standardized the family tradition of marrying into land rather than conquering it. He himself wed the Duchess of Burgundy and then set his son up in Spain with Joanna of Castile. More than anything, Maximilian has the defining Habsburg facial feature – the chin. Since he’s maybe the first one to really look like the later family, he always stands out as a foundation figure for the line in my mind. With only two daughters and apparently a dislike for his brothers and nephews, Emperor Charles IV issued a hereditary decree that a Queen could ascend the Austrian throne. 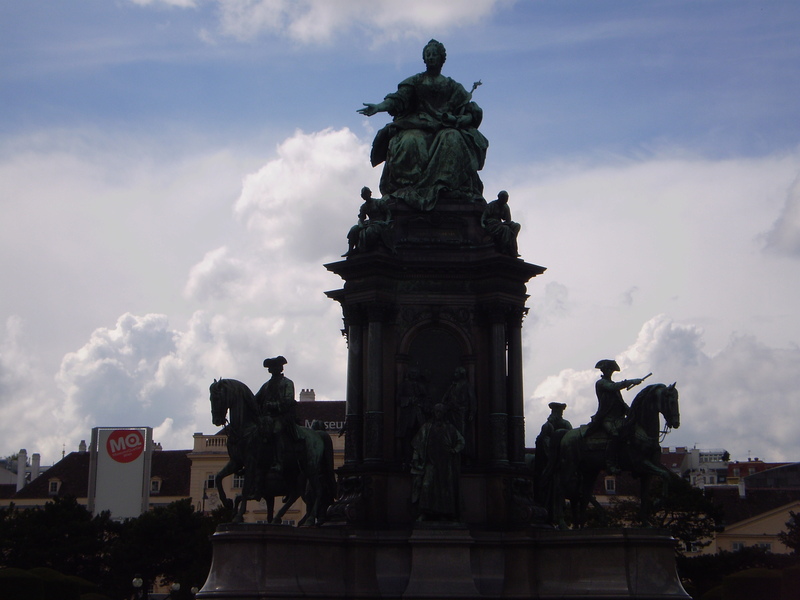 Maria Theresa was 4 years old at the time and must have been raised and educated as someone destined to rule because that is exactly what she did for 40 years. Maria Theresa declared her eldest son Joseph II co-regent after Francis I’s death; although, the most famous of her children is #15, now known as Marie Antoinette. Over her reign, Marie Theresa built extensively, reformed education, promoted medicine and advanced human rights. Her rule was a time of relative prosperity in Austria due to her careful administration. She contributed greatly to her country and is unfortunately often missed when history surveys the great women sovereigns of Europe. To me, Franz Joseph was a man of dignity and duty, raised to be an absolute monarch but who became obsolete in rapidly modernizing world. When you visit his state apartments in downtown Vienna or at Schonbrunn Place, his Spartan existence is almost shocking. Amid all the grandeur of the building, Franz Joseph slept on a cot, woke up early, received visitors while standing to speed through his agenda and worked late into the night reading and writing letters. The man strikes me as a workaholic with a deep sense of obligation to his people but also rigid and formal, constricted by tradition and protocol. On his desk you see pictures of his wife Elizabeth (known as Sisi) who for the most part spent very little time with Franz Joseph. She never really enjoyed the Habsburg court and was often traveling. Obsessed with fashion and highly narcissistic, Sisi had exercise equipment installed in the palace and refused to be painted or photographed after she reached a certain age. (I forget the exact birthday but I remember from my tour it was something ridiculous young like 25 or 30 years old.) Their only son Rudolf was often at odd with the aristocracy because of his progressive views and ultimately committed suicide at 31. 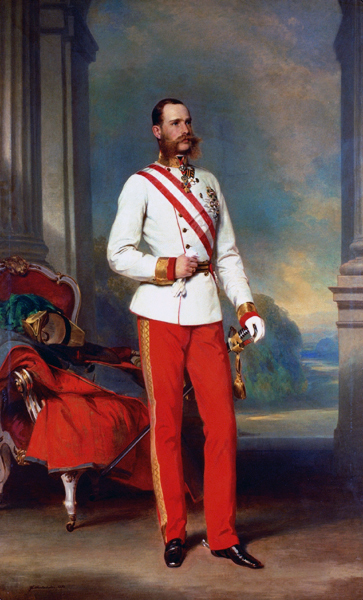 Franz Joseph died during World War I and it was Otto van Habsburg’s father Karl who assumed the Austrian throne for less than 2 years before the dismantling of the monarchy. The obedience and tragedy of Franz Joseph’s life makes him stand out a thoroughly interesting monarch. 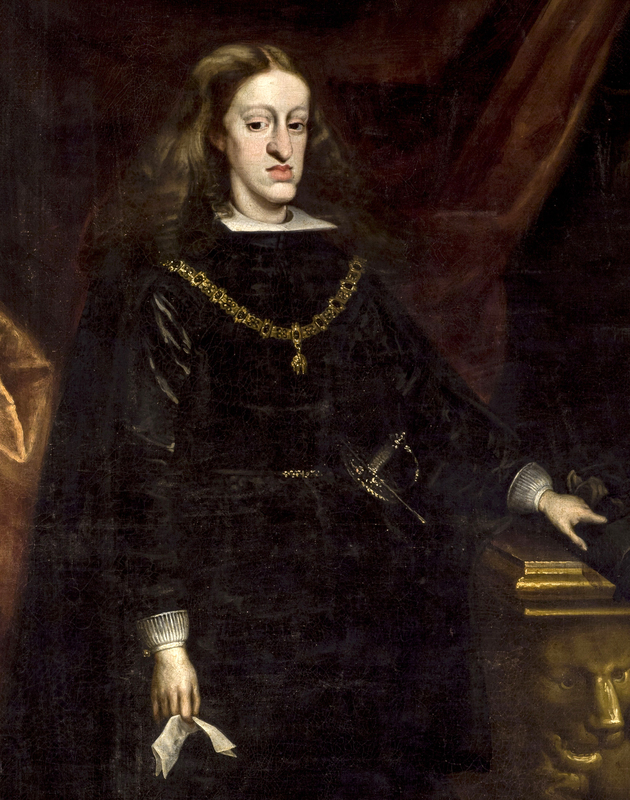 The Spanish line of the Habsburg family was notoriously inbred. Charles II was born after several generations of cousin-cousin and uncle-niece marriages in a shockingly narrow family tree. As a result, Charles was physically and mentally handicapped and unsurprising failed to produce an heir with either of his wives. The portrait above is from the Kunsthistorisches in Vienna. If I remember the caption there correctly, it said something to the effect of “The artist made little attempt to cover Charles II’s physical deformities.” He is a sad oddity and makes you glad our rulers are elected these days.